Socio-Economic Rights and Accountability Project, SERAP, has called on the United Nation Security Council, to declare the incessant killings by herdsmen in some part of the country as an act terrorism. To this end, the body has requested that the UN council and its members should as a matter of priority hold an urgent special session on Nigeria and visit the country to engage the government to end the continuing killings and destruction of property by suspected herdsmen across Nigeria, particularly in the North-Central of the country. 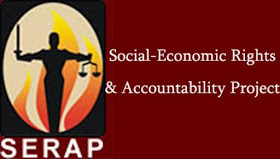 SERAP In a statement signed by its deputy director, Timothy Adewale, SERAP, expressed big concern for the incessant killings which it said has affected women and children and that “ the attacks by herdsmen have uprooted families, destroyed communities’ socio-economic activities, and taken away their livelihoods and common heritage. It noted that the attacks, “undermine the very purposes and principles of the UN Charter. If not urgently combated, such attacks may rise to the level of threat to international peace and security. Asking the Council to: “treat the atrocities by herdsmen as terrorist acts, in line with the UN Security Council resolution 2349 (2017), which addresses Boko Haram’s presence in the Lake Chad Basin and calls on all states to combat all forms and manifestations of terrorism”.